Quick, healthy and delicious are my favorite recipe search terms, how about you? During the week, I’m really busy and I am guessing that you are too. 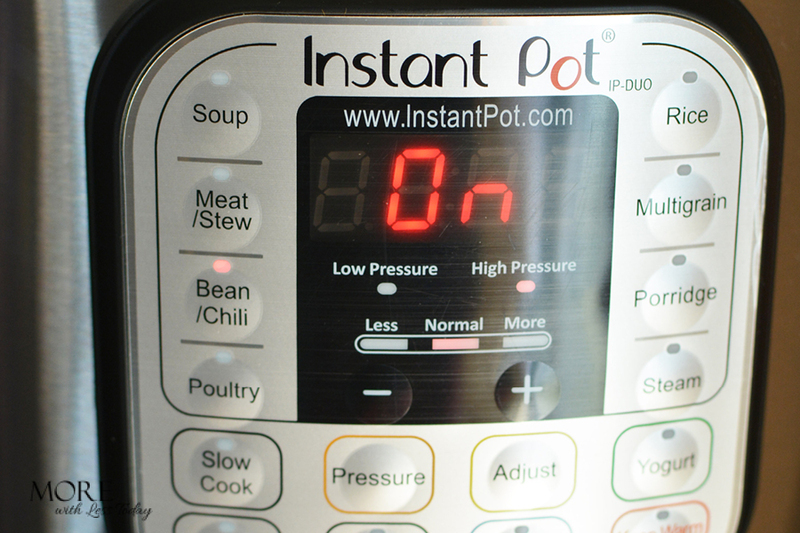 With my new Instant Pot, I’m trying new recipes that get good food on the table fast. 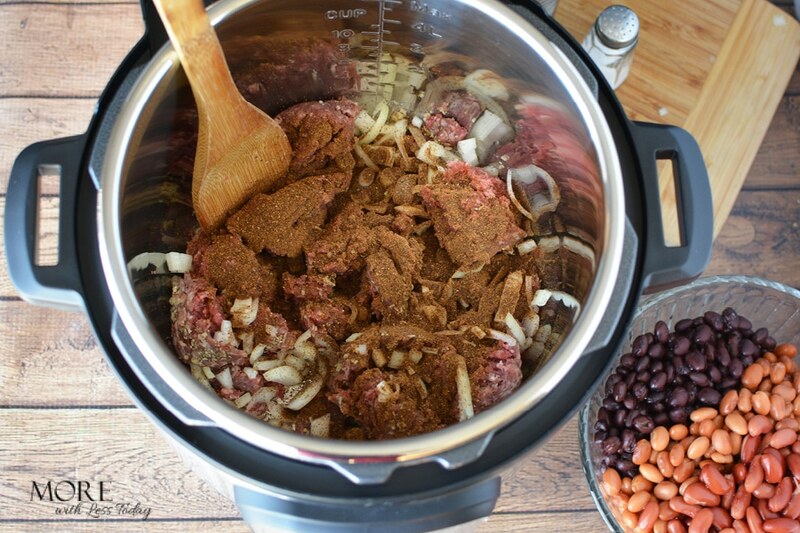 I’m excited to share my 10 Minute Chili, an easy and healthy recipe for your Instant Pot. 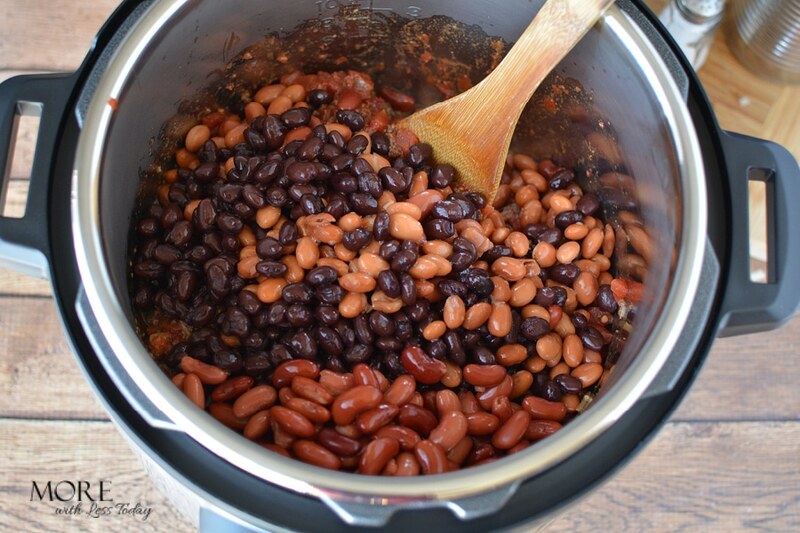 I’ve been adding beans to recipes now that I learned more about the health benefits of beans. They are a vegetarian source of protein that helps to keep you full and satisfied. Bonus – you can keep your pantry stocked for quick meals and they are budget-friendly. Use the sauté feature to brown the meat. Once the meat is browned…. Add beans, tomatoes, etc. and stir. See the full recipe below. Turn on to the manual setting for only 10 minutes. 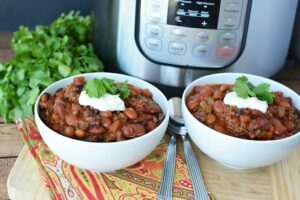 and your 10 Minute Instant Pot Chili is ready to serve! It’s the perfect quick and hearty weeknight dinner. 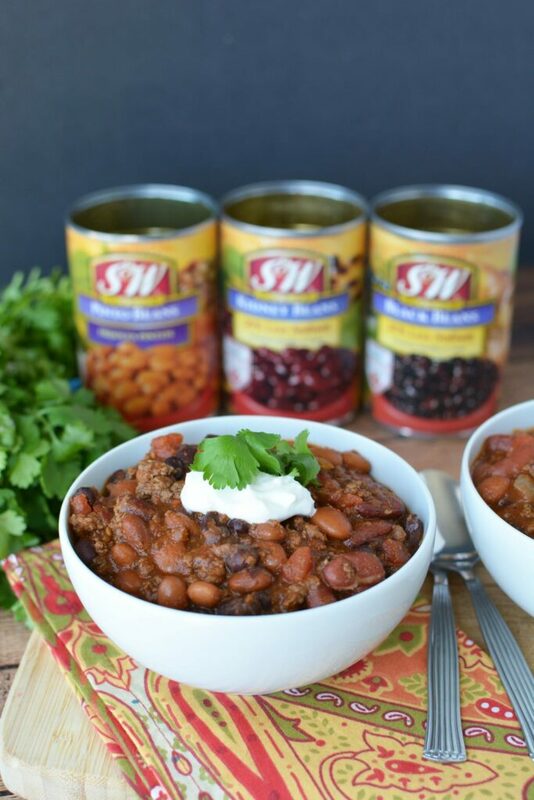 Have leftover chili? Add it to a baked potato for another quick, healthy and delicious meal idea. Until I received my S&W Beans a few days ago, I had no idea how many varieties and options they have. 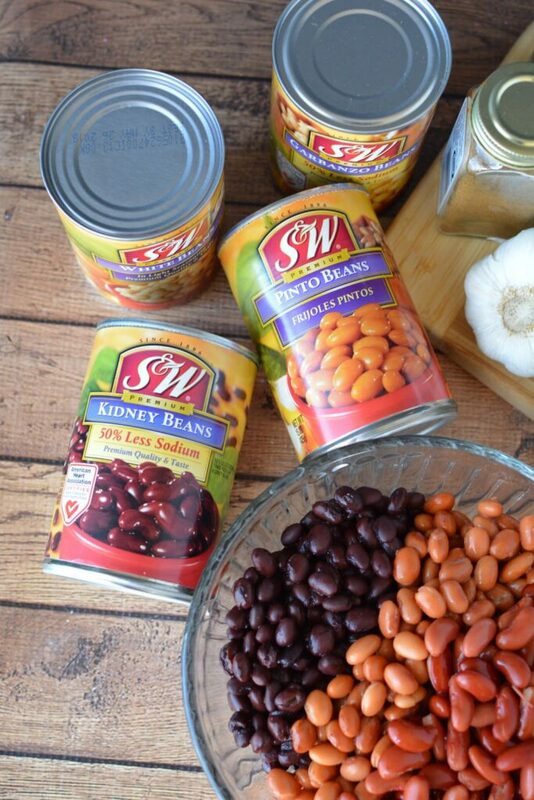 They offer all of the classic beans like pinto beans, white beans, garbanzo beans. black beans and some out of the ordinary varieties and they also offer 50% less low sodium and organic options. They have been providing high-quality premium beans that taste and look great for over 120 years. 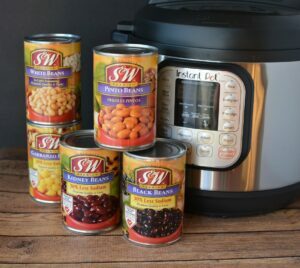 To find more quick, healthy and delicious recipes, follow S&W Beans on Facebook, Twitter, Instagram, and Pinterest. 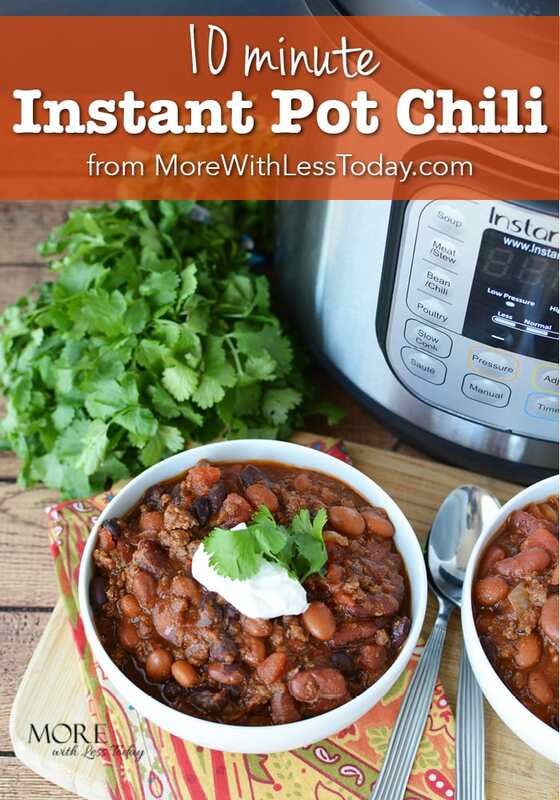 You won't believe how fast and tasty this chili recipe is in your Instant Pot! 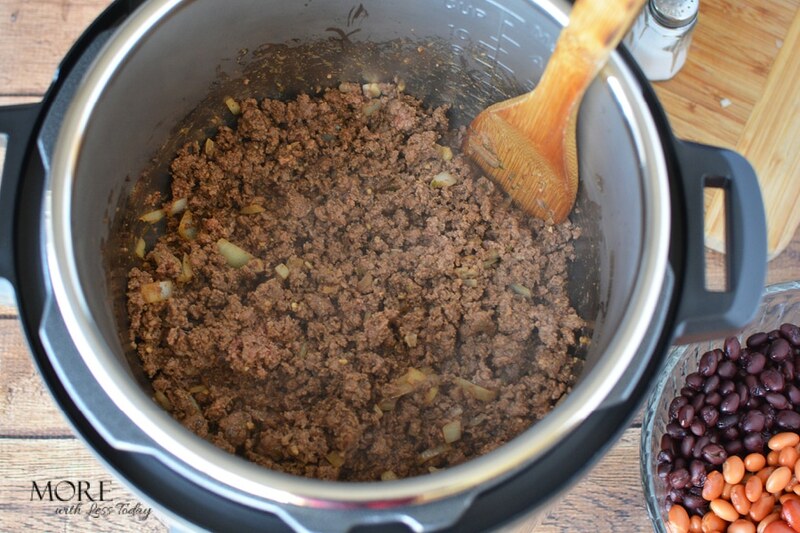 Place ground beef, onion, garlic, chili powder, oregano into Instant Pot. Use the saute function to brown the meat until no longer pink. Season with salt and pepper. Add tomatoes, beans and water to pot. Stir to mix well. Place the cover on the instant pot and seal. Seal pressure and choose the "Manual" function for 10 minutes. 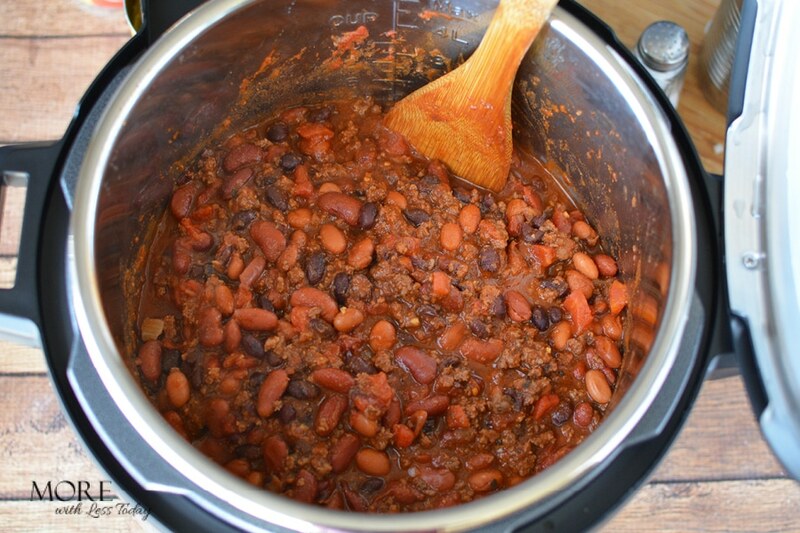 Cook the chili and when finished, quick release steam/pressure. Serve with sour cream and fresh cilantro, if desired. 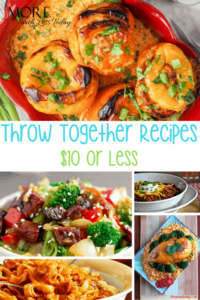 Here are 15 more quick and easy dinner ideas that cost only $10 or less!